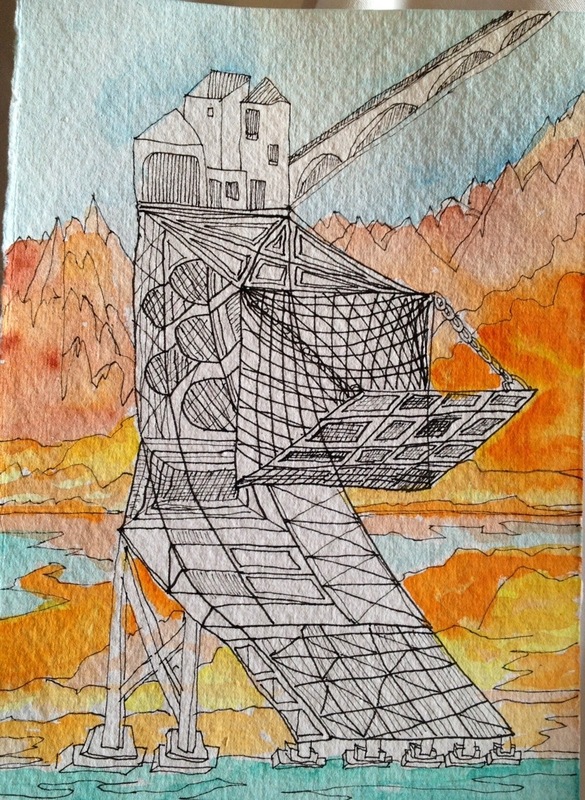 This drawbridge painting is unique in the artit’s choice of absence of color, letting the fine pen lines take center stage against a backdrop of color. The guys become a master….no joke ! !